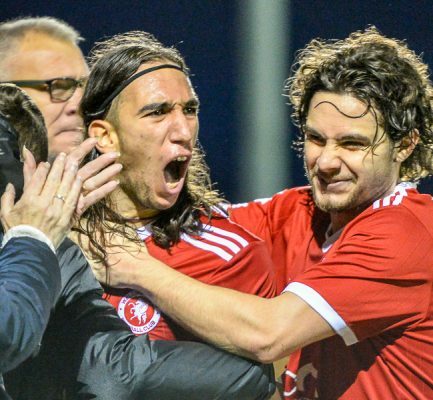 Inspired substitutions helped Welling United to three well merited points over Hungerford Town. He continued “It wasn’t the best first half. (It was a) great goal. Five passes from the back, all the way through the team, and a great finish by Brad, fantastic finish. Although Welling are now out of the F.A. Cup and Trophy, the defeat of Hungerford kept an excellent league run going. King said: “We’ve only lost one game since 14th August in the league and we’re now in December. That’s a helluva run. The boys have done fantastic, eighteen games in. “We might not reach the standards that we set ourselves some weeks but to grind out results sometimes when we’re not playing brilliantly is just as important. King confirmed that he hoped to organise some training friendlies to ensure that all the squad would get playing time but conceded that there may be the need to loan players out. “Probably, one of the centre halves will have to go out and get some games. This entry was posted	on Monday, December 3rd, 2018 at 9:30 am	and is filed under Football, Non-League Football. You can follow any responses to this entry through the RSS 2.0 feed. Both comments and pings are currently closed.